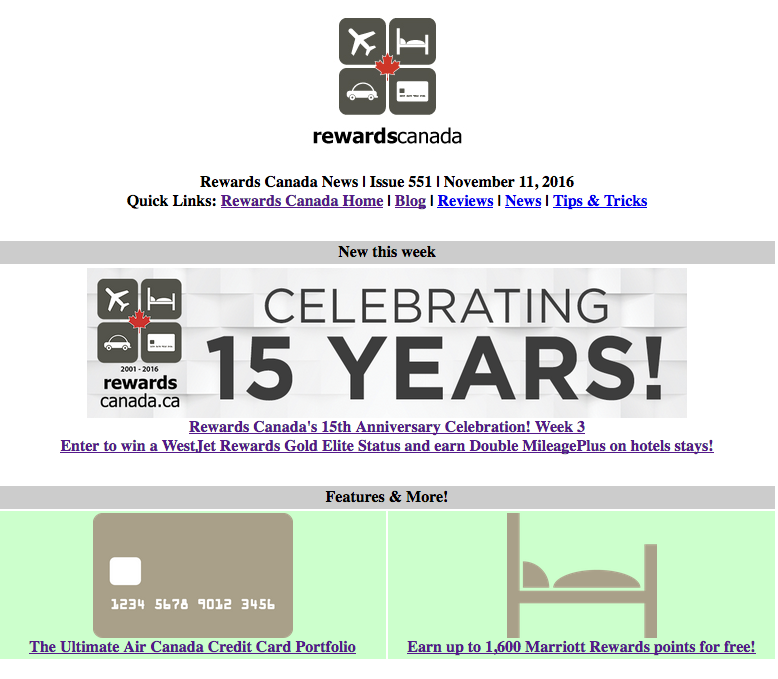 Rewards Canada's 15th Anniversary Celebration! One (1) prize of 30,000 Marriott Rewards Points will be awarded to one randomly selected entrant for the Grand Prize. One (1) prize of 15,000 Marriott Rewards Points will be awarded to one randomly selected entrant for the 2nd Prize. The selected winner(s) will be contacted by email and will have Seven (7) days to respond with their name, mailing address and answer to the mathematical skill testing question. After Seven (7) days no further attempts will be made to contact the winner and another entrant may be chosen to receive the prize. Point awards will be awarded within 4-6 weeks upon the winner supplying their loyalty program number. Prizes are provided as is and without any warranty of any kind. Prizes are nontransferable. No cash redemption or prize substitution allowed by winner. Sponsor reserves the right to substitute prize of equal or greater value if advertised prize becomes unavailable. Odds of winning is dependent on the number of entrants as of contest end date. 8. Employees and agents of FFB Group Inc, Marriott, and members of such employees immediate families and individuals living in the same household with such employees, are not eligible to win. 10. RewardsCanada.ca and FFB Group Inc. reserves the right to request written proof of a possible winners residence and age before awarding a prize. 11. All provincial, federal, state and local laws and regulations apply. Sponsor reserves the right, at its sole discretion, to cancel, terminate, modify or suspend this sweepstakes or any portion hereof, or to disqualify any individual implicated in any of the following actions, if for any reason: (a) infection by computer virus, bugs, tampering, unauthorized intervention, actions by entrants, fraud, technical failures, or any other causes which, in Sponsors sole opinion, corrupt or affect the administration, security, fairness, integrity or proper conduct of the sweepstakes, (b) the sweepstakes or any website associated therewith (or any portion thereof) becomes corrupted or does not allow the proper processing of entries per these rules, or (c) the sweepstakes is otherwise not capable of running as planned by the Sponsors. By entering, participants agree to release and hold harmless Sponsor, Administrator and each of their parents, subsidiaries, affiliates, divisions, advertising and promotional agencies, wholesalers and retailers, and each of the foregoing entities employees, officers, directors, shareholders and agents (collectively the Released Parties), from and against any and all claims, actions and/or liability for any injuries or death, loss or damage of any kind arising from or in connection with participation in and/or entry into the sweepstakes or acceptance or use of any prize. 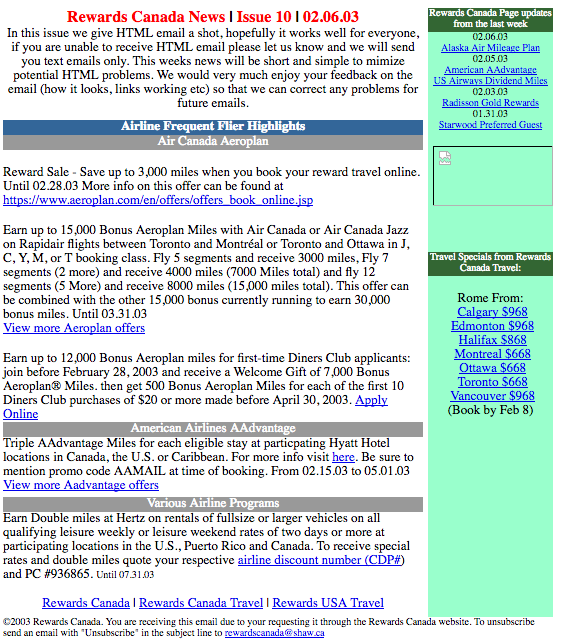 The Released Parties are not responsible or liable for any incorrect or inaccurate entry information, and assume no responsibility for (i) any error, omission, interruption, defect or delay in operation or transmission at any website, (ii) failure of any entry to be received by Sponsor due to technical problems, human error or traffic congestion on the Internet or at any website, (iii) communications line, hardware and/or software failures, (iv) damage to any computer (software or hardware) resulting from participation in the sweepstakes, (v) theft or destruction of, tampering with, unauthorized access to, or alteration of entries and/or entry information, or (vi) entries which are late, lost, stolen, damaged, illegible, and/or unintelligible. By entering, entrants agree to comply with these rules. Any entrant who attempts to tamper with this sweepstakes in any way shall be disqualified. In the event of dispute as to who submitted an online entry, the entry will be deemed submitted by the Authorized Account Holder of the email address submitted at the time of entry. Authorized Account Holder is defined as the natural person assigned to an email address by an Internet access provider, on-line service provider or other organization responsible for assigning email addresses for the domain associated with the email address in question. Additional restrictions may apply. Welcome to the fourth contest to celebrate Rewards Canada's 15th Anniversary!! This is the fourth of five contests that we are running for our 15th Anniversary so you'll still have one more opportunity to win some great prizes from our sponsors! Be sure to follow Rewards Canada on all of our social media channels and newsletter so that you don't miss out on any of them! For the fourth week of celebrations we have teamed up one of our biggest contest sponsors for 2016, Marriott Rewards! We've already had three contests with them this year plus the free points offer that was part of our 15th Anniversary. For the fourth contest you can enter to win one of two Marriott Rewards points prizes. One lucky entrant will walk away with 30,000 Marriott Rewards points while another will pocket 15,000 Marriott Rewards points. Marriott Rewards is a global award-winning hotel loyalty program spanning 18 brands and over 4,300 properties worldwide. Marriott Rewards is free to join and has no blackout dates and members can earn and redeem points at Marriott International properties around the world and at Marriott Rewards exclusive luxury partner The Ritz-Carlton®. By linking your SPG and Marriott Rewards accounts, member can now transfer points between programs and receive the benefit of matched status in all three programs. Members can also redeem points for frequent flyer miles, cruises, car rentals, merchandise, the Experience Marketplace and more. Learn more and join Marriott Rewards here! You can enter the contest up to three times via the Rafflecopter widget below. Simply subscribe to our newsletter and confirm your subscription (you'll receive an email to confirm) for your first entry! Then visit our Facebook page to garner a second entry and finally for a third entry follow us on Twitter. Of course if you already subscribe and follow you get those entries simply by clicking the entry options in the widget below. From humble beginnings of being sent out once every two weeks or three weeks the Rewards Canada News email newsletter has now eclipsed over 550 issues, 10,000+ subscribers and is sent out on a weekly basis. One lucky reader who enters will win the grand prize of 30,000 Marriott Rewards points and one lucky reader will win the runner up prize of 15,000 Marriott Rewards points! The winners will be drawn at random. Enter via the Rafflecopter widget! You can enter the contest up to three times. For your first entry subscribe to the Rewards Canada News newsletter (and confirm it when you get the confirmation email). If you already subscribe just click for your entry! Then you can earn an additional entry by visiting our Facebook page and finally one more entry for following us on Twitter. You must enter by 11:59PM ET on November 23, 2016 to be eligible! Note: The email you use for this giveaway will be matched up with our email subscription list so be sure you use the same email address! Only those who confirm their Rewards Canada News subscription will be eligible to win.